For the last year a siege mentality has dominated the New York state capitol. And in some respect, Albany, or at least the political denizens who dwell within the capitol, does appear to be very much in the cross hairs of a conquering army headed by U.S. Attorney Preet Bharara. The main roads into town feature digital billboards flashing entreaties from the FBI urging New Yorkers to "REPORT CORRUPTION," along with a number for the New York State Public Corruption Task Force. On Monday, Bharara may drive by those very signs as he makes his way to Albany for a series of events, including two speaking engagements. The crusading prosecutor's presence may be enough to make already-nervous Albany lawmakers break into a cold sweat. The most powerful people in Albany - lobbyists, legislators, and even Gov. Andrew Cuomo - have watched as Bharara has gone from prosecuting rank-and-file legislators to decapitating both houses of the legislature by securing the convictions of former Assembly Speaker Sheldon Silver and former Senate Majority Leader Dean Skelos on multiple counts of corruption. All the while Bharara has maintained investigations into Cuomo's dealings, with the prosecutor's mantra of "Stay tuned" casting a larger-than-life shadow. Although he promised major reforms during his recent State of the State address, Cuomo has since avoided the press in Albany, continuing his streak of not holding a press conference at the capitol, now at over 200 days. The current majority leaders have also remained largely mum on ethics since the start of the year. Democratic Assembly Speaker Carl Heastie voiced support for various reforms early in January, but has said little since. His working group on Assembly rules and transparency continues to delay the release of proposals to make the body more open and democratic. Republican Senate Majority Leader John Flanagan has pushed back against the very idea that there is any need for reforms, pointing to changes made over the last several years and asserting the need for individuals to act of high moral character. Bharara has made it clear that he continues watching. On Monday, Bharara will take something of an up-close look, as he heads to Albany for several events and speaks publicly twice. The first speaking event will take place a short walk from the capitol building when Bharara addresses the New York State Conference of Mayors; the other hosted by good government groups and WAMC public radio--a veritable public radio empire that reaches across upstate New York and into Vermont and Connecticut. The topic for both events will, of course, be fighting public corruption. Bharara is also set to appear, along with Gov. Cuomo, at the swearing in of new Chief Judge Janet DiFiore. Bharara will not be addressing the state legislature, even though he recently made the trip to Frankfort, Kentucky to discuss public corruption and the type of culture that allows it to fester in New York. 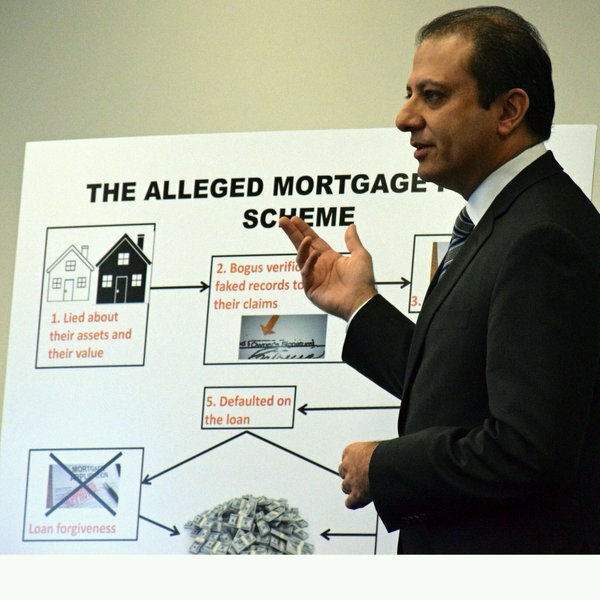 Throughout his examination of New York state government, Bharara has not only found several examples of illegal activity, but he has also decried legally corrupt practices, such as the infamous "three men in a room" method of deciding virtually all important state policy. Assembly Minority Leader Brian Kolb, a Republican, invited Bharara to address his conference, but Bharara's office prefered to address a bipartisan gathering. Kolb, in turn, wrote to the majority leaders of each conference in both houses, asking them to jointly invite Bharara to address the legislature as a whole. 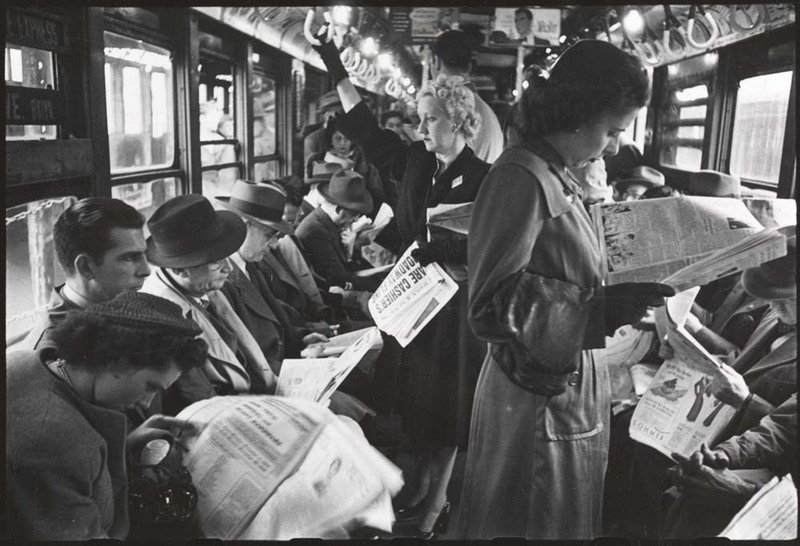 "They haven't even bothered to respond to my letter," Kolb told Gotham Gazette. "What are they so afraid of?" Kolb, who will be speaking before Bharara on Monday at the mayors conference, said he hopes to hear more from Bharara on how the "three men in a room" power structure in Albany defeats transparency and allows corruption to fester. "Mr. Bharara has asked 'Since when has it become acceptable for three men to decide everything?,' And I expect he will focus on that again. It's not about getting our way, but about asking questions about how things are structured, about payments, pots of money. Making sure our constituents are represented. I mean there was even that Skelos quote where he said, 'I control everything.' These guys have too much power," Kolb said. John Kaehny of good government group Reinvent Albany is also interested in hearing Bharara attack the culture in Albany that might not necessarily be prosecutable. "Hopefully he says: 'The real scandal is what's legal.'" said Kaehny, referring to what many, including Bharara, have said about Albany's usual ways of doing business. "In Albany," Kaehny said, "the governor can give a bag full of taxpayer money to a big business and that business can give him a bag of money back, or a bag full via unlimited LLC contributions. All legal. Yet in New York City, it is a crime for people doing business with the city to contribute more than $400" to a campaign. Among Kaehny's concerns are that law firms that represent state agencies and authorities can also lobby on behalf of private clients. "It goes on and on," said Kaehny. 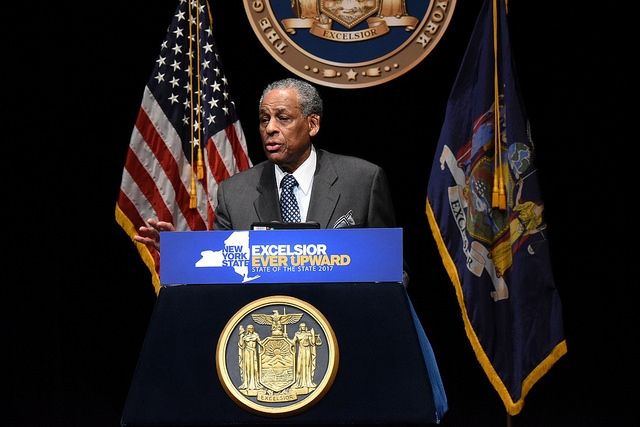 "The conflict of interest is so baked into how Albany works that Silver tried to use it as a defense." Bharara has addressed how Albany's culture has played into many of the cases he prosecuted. "If you're one of the three men in a room, and you have all the power and you always have and everyone knows it," Bharara told an audience at New York Law School last January following Silver's arrest. "You don't tolerate dissent because you don't have to. You don't allow debate because you don't have to, and because the status quo always benefits you." The three men in the room are the governor, Assembly speaker, and Senate president. For several years running, those men were Andrew Cuomo, Sheldon Silver, and Dean Skelos. 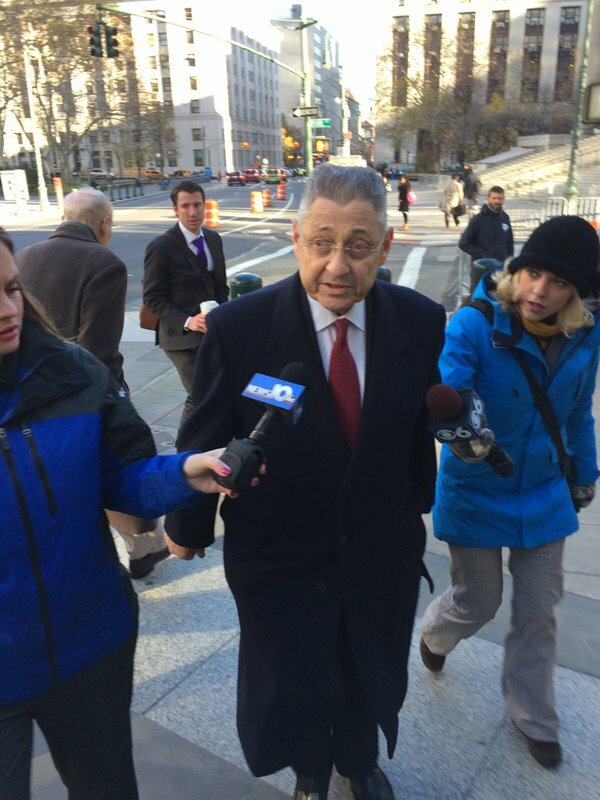 Thanks to Bharara, both Silver and Skelos are awaiting sentencing on federal charges. In his New York Law School speech, Bharara mocked "three men in a room," joking about what happens behind closed doors, asking whether women are allowed and wondering if perhaps it gets "a little gamey in that room." But he quickly returned to the serious, saying that the elected officials end up getting "swept up in the power and the trappings, because you were never challenged, and because you can easily forget who put you there in the first place. And so I ask again, what kind of a system is that?" Bharara also took the time to recognize the legislators in attendance--he didn't exactly honor them. "I see there are a number of elected officials here. And after yesterday I guess I have two theories as to why that might be. One might be that you knew I was taking attendance. And the other is that there are a lot of folks now looking for immunity," he said, in his typical wry manner. That fear that Bharara is watching, that he is still working on unearthing new misdeeds, has paralyzed legislative leaders on a number of issues over the last year. Some have confided to aides and others that they aren't sure what Bharara is after, or who he has flipped to his side. Many note that there are clear connections between legislative action and campaign donations that are ripe for investigation. Legislators have also been put on notice regarding their abuse of per diem reimbursements, use of campaign cash for personal expenses, and other misdeeds. It appears to many that Bharara started this year by giving Cuomo and legislators an opportunity to reflect on the gravity of the Silver and Skelos convictions and actually get to work on real reforms. A number of insiders see Bharara's announcement in January that he did not have enough evidence to indict anyone on the untimely end of The Moreland Commission on Public Corruption as a way to take some pressure off of Cuomo to allow him to take the initiative on ethics in his State of the State address. Those same insiders see Bharara's visit as a nudge to Cuomo and legislative leaders to actually deliver on reforms this year. In his State of the State platform, Cuomo announced his intentions to see the LLC loophole closed, strict limits set on legislators' outside income, a public campaign finance system established, and other changes made to prevent corruption. Whether Bharara wades into any of those specifics is to be seen.